This section contains major news from the Campaign. Use your cursor to navigate to the individual pages of news via the drop-down menu above. A panel chaired by Martha Kearney will discuss all the latest developments in research and interpretation of the Iliad and Odyssey. Panelists include Professor Edith Hall (King's College London) and Professor Nicoletta Momigliano (University of Bristol). The event will be held in the Macmillan Hall, Senate House, and be followed by a reception in the Library. More details about how to book will be available later in the year. 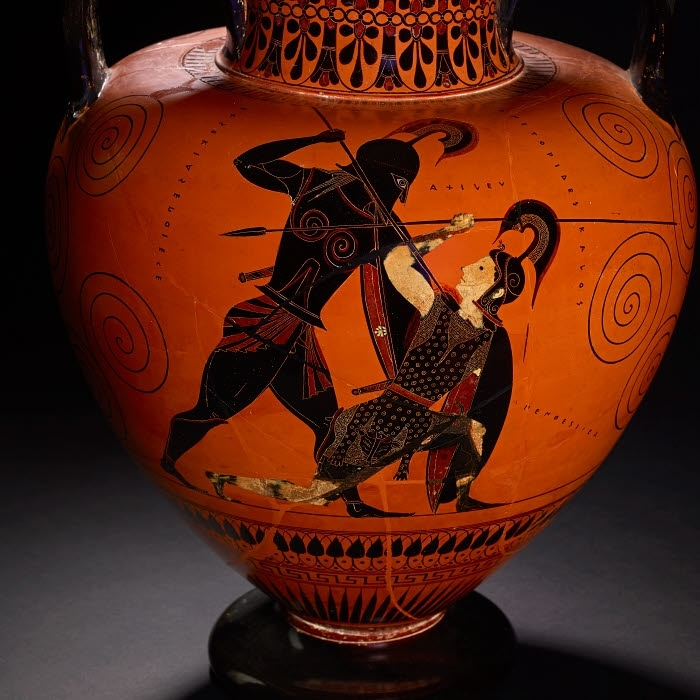 Achilles slaying Penthesilea, amphora from Vulci, c.530-525 BC.